The Dynamic Field Properties feature allows you to change certain field properties in response to changing field values. The three field properties for which this is allowed are Required, Background and Visible*. This allows you to reduce errors in filling out a form by making exactly the correct fields required. *Note: The Visible property will only hide the field from the view you set this property up in. For example, if you only set it up in Form View, you will still see the field in List View and vice-versa. This property also does not hide the field value in the PDF or Reports. 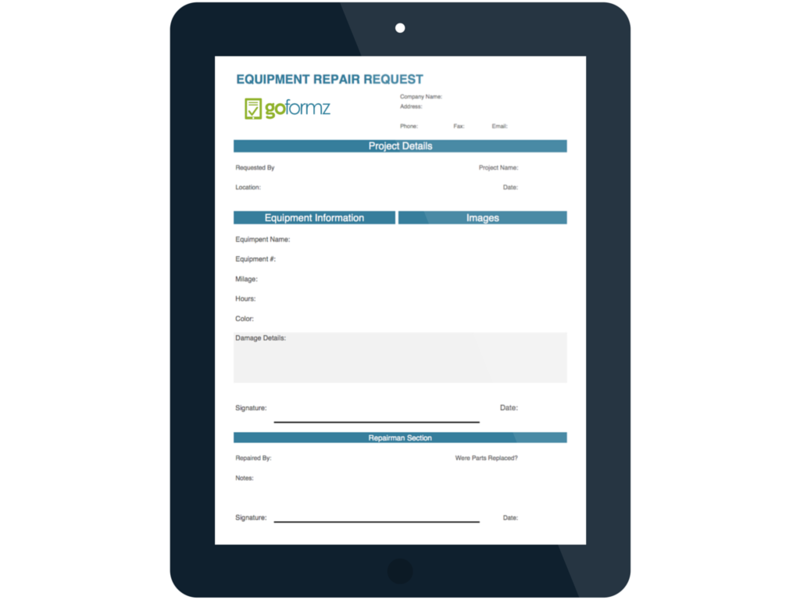 Imagine an Equipment Repair Request form where you need to record which parts were replaced. When you mark a checkbox indicating you replaced a part, you can dynamically display a field for the part name, number, and date the part was replaced, indicating that those fields must be completed. Once you have filled in the part name, number and date, the backgrounds of the fields turn yellow to indicate that the fields have been filled out and the form can now be completed. To set up the above example, you need to create 3 fields and then put calculations on the appropriate properties so that they change in response to changing field values. 1. Create a Checkbox with the name: "YES"
2. Create a Text field with the name "Part Number"
3. Create a Date field with the name "Replacement Date"